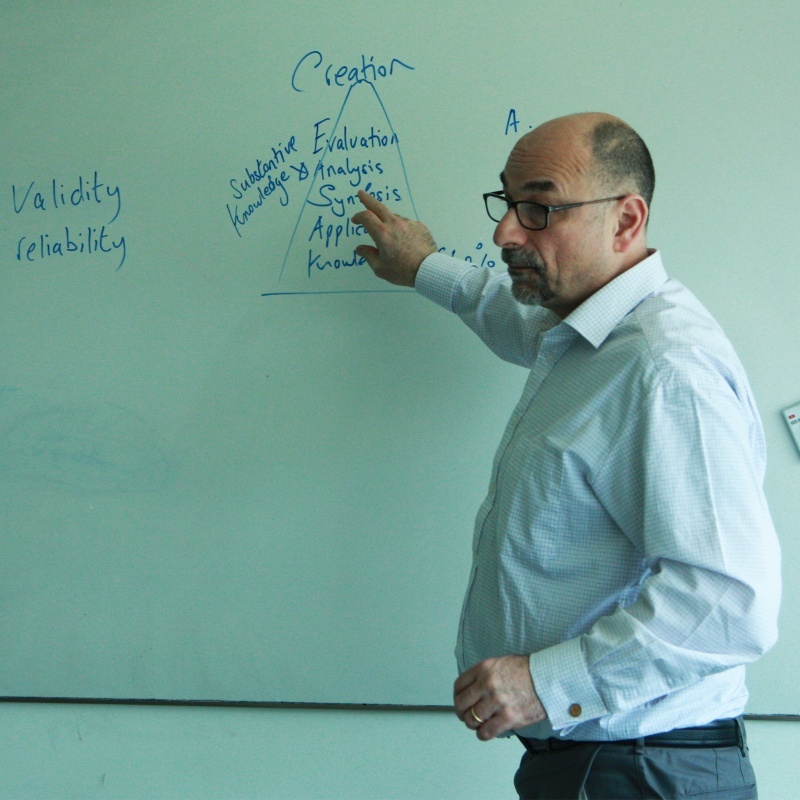 In 2014, Ayb Educational Foundation, in collaboration with Cambridge Assessment International Education (CAIE) and Institute of Education (IoE) at University College London (UCL), embarked on a ten-year extensive educational initiative, the National Program for Educational Excellence (NPEE), which aims at creating an internationally competitive alternative educational program for Armenian schools – the Araratian Baccalaureate – and increase the importance and authority of the teacher's role in society. NPEE is Ayb Foundation’s initiative. The program is carried in cooperation with the Ministry of Education and Science of Armenia. The program is financed by the Armenian government and co-financed by Ayb Foundation. The improvement of the general education system is a universal and complex problem that requires a comprehensive approach. Competitiveness, long-term development and overall progress of the educational system depend on the improvement of each and every component of the system. These components include teaching methodology, curricula, textbooks and their development methodology, evaluation of teacher performance, student assessment methods and so on. At the same time a wide range of possibilities for teachers' professional growth, competitive salary, formation of a public demand and rise of awareness of teachers’ importance in society are crucial factors for improving the whole system of primary and secondary education in Armenia. 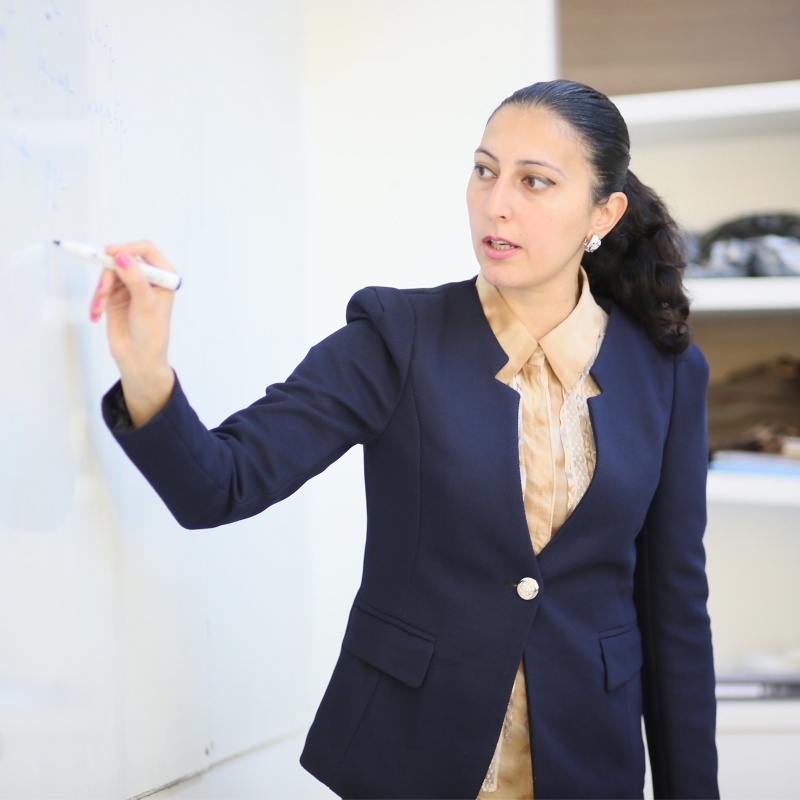 NPEE aims to create a community of teachers armed with world’s best practice and skills throughout Armenia. These teachers will play a key role in increasing the competitiveness of the general education system and ensuring long-term development and universal progress of education in the country. Ayb achieves this through long-term and comprehensive trainings of a critical mass of teachers. Experts of international partner organizations carry out these trainings. After teachers are trained and certified, they too in turn become experts in training hundreds of other teachers. The main tool for the implementation of NPEE is Araratian Baccalaureate (AB). AB is a globally competitive and rigorous educational platform designed for modern public and private schools. AB's program combines a number of basic and elective subjects, including math, science, history, social sciences, languages and arts. Approximately eight years before the inception of the Araratian Baccalaureate, each element of the program has been carefully elaborated, tested and improved within the framework of all Ayb projects and particularly Ayb School. On December 29, 2015, Minister of Education and Science of Armenia Armen Ashotyan signed the decree which officially recognized Araratian Baccalaureate as an alternative school program in Armenia. Thanks to NPEE, AB will be spread across the country: in the coming years, each region of Armenia and Artsakh will have one fully renovated AB high school, and plus AB will be integrated into all other high schools being offered in at least one classroom. Thus, all Armenian students will have the opportunity to study according to world’s best practices and methodologies for free and will get a diploma which is nationally and internationally recognized. AB is also headed towards international recognition (similar to International Baccalaureate, GCE A Level, and Advanced Placement). This means that students in Armenia will receive Armenian language-based education which meets all international standards. AB diploma and grades will be recognized in local and foreign HEIs without additional exams. Ayb has already made the first strides to this end: Cambridge Assessment International Education (CAIE) has recognized Araratian Baccalaureate comparable to GCE A Level. The UK NARIC international certification body has already spread the word about the international recognition of the Araratian Baccalaureate, and this summer we look forward to the final approval of AB by this prestigious institution. After AB’s recognition by Cambridge and NARIC, recognition of the program by other institutions and universities is just a matter of time. Today, Ayb Foundation is in the process of finalizing the international recognition of AB, summing up the teacher evaluation procedures, training teachers and trainers, and institutionalizing AB management system. This is an extensive process that Ayb Foundation has spent many years laying groundwork for and which aims to make internationally recognized AB's program available for other schools (other than Ayb) promoting excellence in education and enabling graduates of Armenian schools to continue their studies in higher education institutions of their choice across the globe. Ayb will strive to introduce AB to Armenian schools in the Diaspora as well, thereby empowering Armenian schools worldwide. 1․ In the first – preparatory – phase (2014-2016) of the NPEE, the Araratian Baccalaureate (AB) curriculum was further improved as an Armenian-language and internationally-recognized educational platform of excellence. 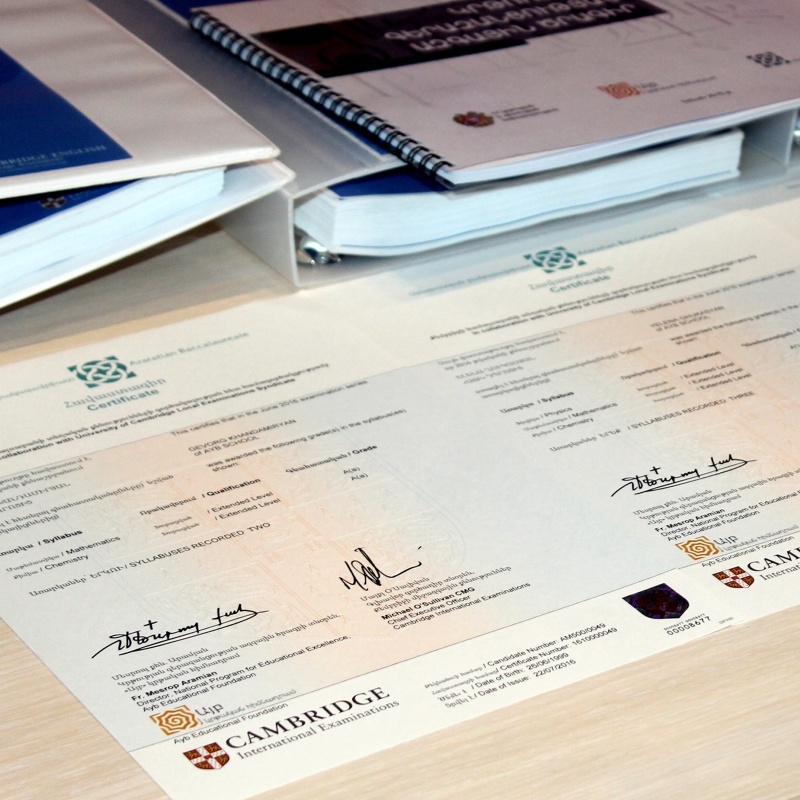 The improvement of AB’s curriculum and exams as well as the international recognition of AB certificates have been carried out in cooperation with the Cambridge Assessment International Education (CAIE). Approximately eight years before the inception of the Araratian Baccalaureate, each element of the program had been carefully elaborated, tested and improved within the framework of all Ayb projects and particularly Ayb School. In order to improve AB syllabi, the CAIE conducted the international benchmarking of AB syllabi comparing them with other international platforms of excellence and found the AB syllabi mostly competitive and comparable to similar leading international programs (International Baccalaureate, Advanced Placement, GCE A Level). At the same time, with the University College London (UCL) Institute of Education, the NPEE developed its teacher training and certification programs, the action plan and the educational materials according to which all NPEE teachers will be trained. • offer the high school program (high schools, secondary schools, colleges, educational complexes). 3. In the third phase (2020-2023), AB will be rolled out to all high schools in Armenia and Artsakh, with at least one class in each school. Thanks to NPEE, Armenia has now its own unique and important place in the global educational arena. Studies carried out globally have shown that there is no internationally competitive educational model that is superior to others or could replace national programs. Instead, each country develops its own education system anchored on the best international experiences, adapting and changing them in accordance with its specific needs and conditions. Therefore, Ayb, with the state’s support, is committed to creating our own educational system leading to significant impact on Armenia’s competitiveness. 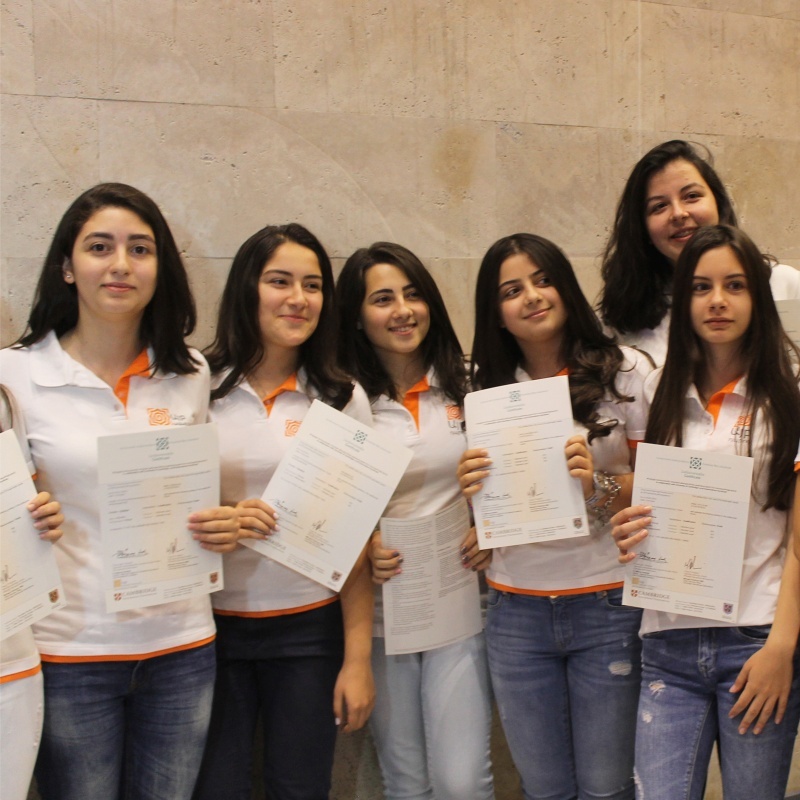 We create an Armenian language alternative education program, which will meet international standards and be based on our national and educational heritage and values so that our children receive competitive education recognized internationally and in compliance with international education standards, without leaving their own schools. This alternative excellence program will operate along with the state curriculum, giving students a broader choice of high school programs, ensuring education quality and making sure the graduation assessments and diplomas are recognized both locally and internationally. NPEE is a state program, which aims to go beyond Armenia as well and extend to all countries where there are Armenian communities and schools. In doing so we will provide not only children in Armenia, but also those in the Diaspora with an opportunity to receive Armenian language, high standard and internationally recognized education. Thus through NPEE, Armenia can become an exporter of education. will be implemented in at least one classroom in high schools in Armenian regions and Artsakh. To direct the best human resource to schools. To make teaching an honorable profession and ensure appropriate and competitive remuneration. To form a community of topnotch teachers. To establish a community of teachers armed with globally competitive teaching practice and knowledge. To introduce a new alternative educational platform at schools. To introduce Araratian Baccalaureate (AB) as a competitive, internationally recognized Armenian language educational program throughout Armenia. To support and promote the institutional development of schools. To integrate AB into all high schools of Armenia and Artsakh, thereby offering any student the opportunity to study according to Ayb’s educational technologies and methodologies for free.